In this guide, you’ll find the list of all 74 songs that are included in Taiko no Tatsujin: Nintendo Switch Version. This is for the Japanese version of the game released in Asia. 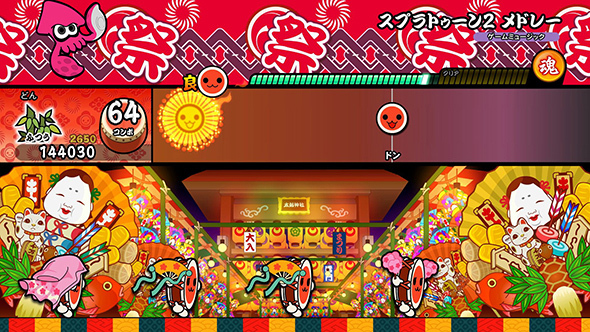 Taiko no Tatsujin: Nintendo Switch Version contains seven types of songs – Pop, Anime, Vocaloid, Variety, Classic, Game Music, and Namco Original. This list includes songs that could be unlocked in the game. View the full list below. Namco Original Antonio アントニオ You'll Melt More! / ゆるめるモ! There may be more songs released in the future as free and paid DLC, so stay tuned. Taiko no Tatsujin: Nintendo Switch Version is now available for Nintendo Switch. The game supports English and you can import or purchase it here. Guide, Switch, Taiko Drum Master Nintendo Switch Version!